The first hand-pressed clay sculpture is finished and drying now before it can be kiln fired. 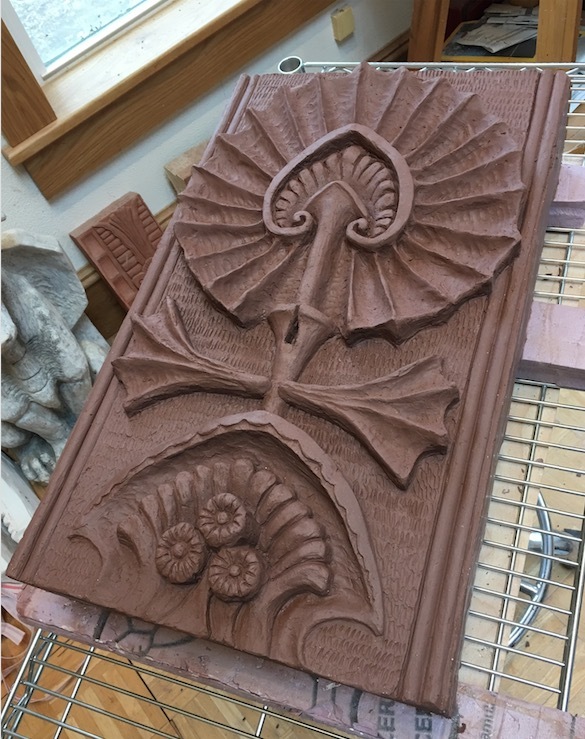 Once this is fired in the kiln I will have an exact size and weight and a firm price for these signed, numbered and dated works reproducing this historic George Grant Elmslie/Louis Sullivan 1884 Chicago design featuring a styled webbed lotus. The design is an early work by these men and it dates to the foundation of what has become known as the “Sullivanesque” style of architectural ornament. The James W Scoville building was demolished in the 1970s, many of the original artifacts were salvaged, most are in private collections while a few are in museums such as the Virginia Museum of Fine Arts where it appears in photos on their web site still sporting it’s old battleship grey paint that was slathered on the original facade over the rich red brick and terracotta. As can be seen in the bottom photo, these really ARE made exactly like the originals- including the typical webbed compartments in the back- the portion that was embedded into the wall. The webbing gives considerable structural strength and stability, and when kiln fired to almost 2,100 degrees F it becomes vitrified and has less porosity than even modern hard brick. As a result these can be built into a brick or stone wall or displayed in the garden too. 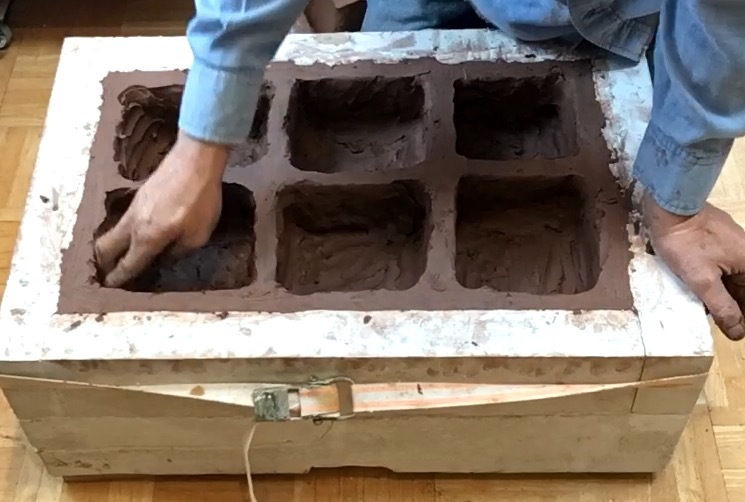 These will probably be around 50 pounds in weight as this one took 60 pounds of clay.